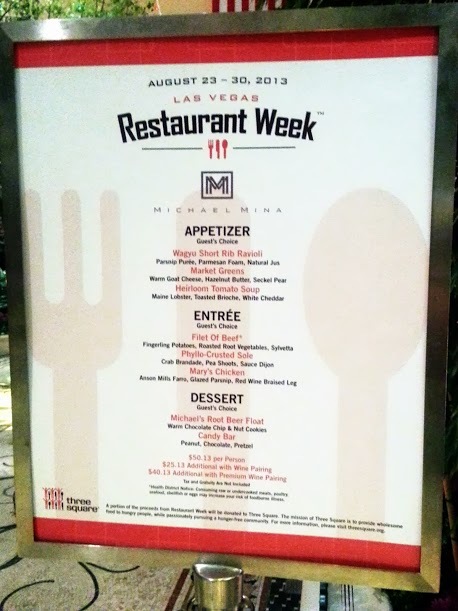 For Las Vegas Restaurant Week '13, my husband and I decided to go eat at Michael Mina in the Bellagio. Eating here was a wonderful experience! Other than the food, the service was exceptional. 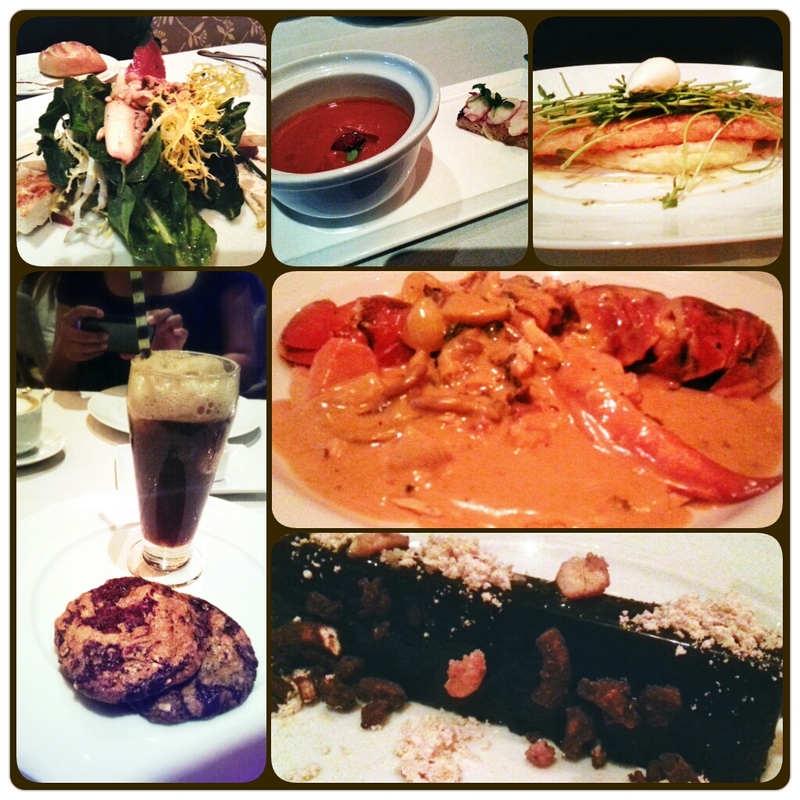 For example, I liked how our waiter and servers told us the ingredients in each of our dishes. I also preferred this menu instead of the a la carte menu. Luckily, our waiter informed us that is menu always available as the Sunset Menu. This is a fine dining restaurant that's worth eating at on The Strip! Market Greens- This salad came with goat cheese, hazelnut butter, and pear. The goat cheese stood out in a good way, it was delish! Heirloom Tomato Soup- This soup was rich and tasted great with the toasted brioche, which I think had white cheddar cheese and prosciutto on top of it. Phyllo Crusted Sole- This simple-looking dish came with crab brandade, pea shoots, sauce dijon, and mashed potatoes. When tasting all the ingredients together, the flavors blended amazingly! Maine Lobster Pie- This is THE dish that this restaurant is known for. It wasn't a part of the Restaurant Week menu, but I couldn't resist! A server came with a big pie on a cart. He cut around the circumference of the pie, removed the top layer, placed it on a separate plate, then placed the insides of the pie, which were the lobster, baby vegetables, with truffle-lobster cream on top. From the first bite, I was taken by surprise! The creaminess of the sauce, the softness of the vegetables and lobster, and the pie crust were perfect together... I think I've found my ambrosia. Candy Bar- This was a fancy candy bar indeed. It was dark chocolate bar with peanut and pretzel. Root Beer Float- This root beer float had sassafras ice cream in it and a couple chocolate chip pecan cookies.